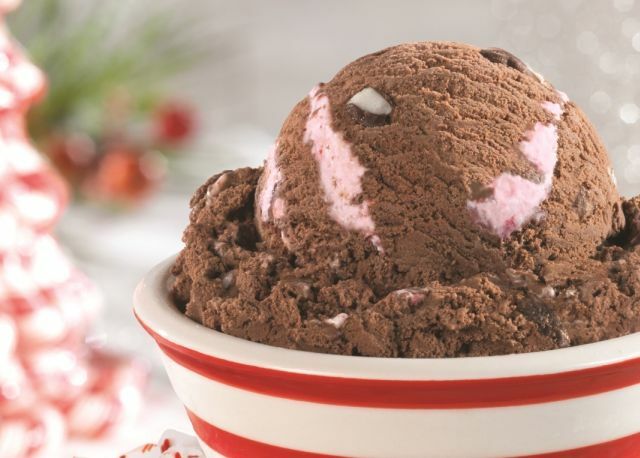 Peppermint Bark in the Dark returns to Baskin-Robbins as the December 2016 Flavor of the Month. The festive flavor features chocolate ice cream with a white chocolate flavored peppermint ribbon, peppermint candy pieces, and peppermint fudge bark. The brand also offers other holiday flavors such as Winter White Chocolate and Egg Nog. New this December are two seasonal, shareable desserts: the Ganache Poinsettia Cake and Peppermint & Winter Oreo Cookies Polar Pizza. 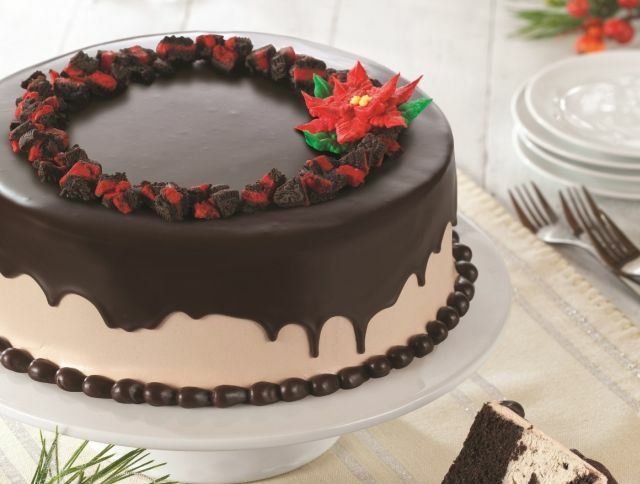 The Ganache Poinsettia Cake is a ganache cake topped with a wreath of Winter Oreo Cookie pieces and an icing poinsettia. 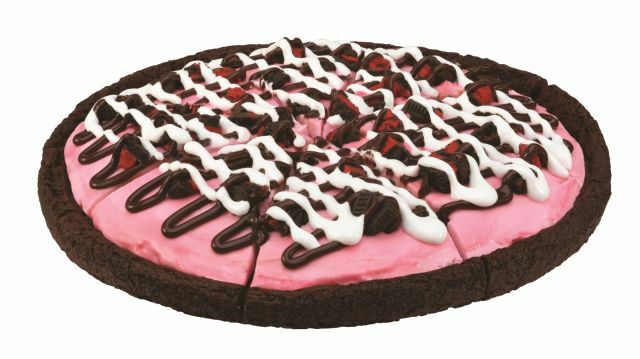 The Peppermint & Winter Oreo Cookies Polar Pizza consists of a double fudge brownie crust with Peppermint ice cream, topped with Winter Oreo Cookie pieces and drizzled with marshmallow and fudge toppings. Baskin-Robbins is also running a special on December 31, 2016, where you can get any regular or kid-sized ice cream scoop for $1.31 at participating locations.